Last weekend, I decided to spend the Thanksgiving holiday at Boracay. I haven't been to this island for 6 years and I saw a lot of major improvements. There are more restaurants, bars and hotels now. 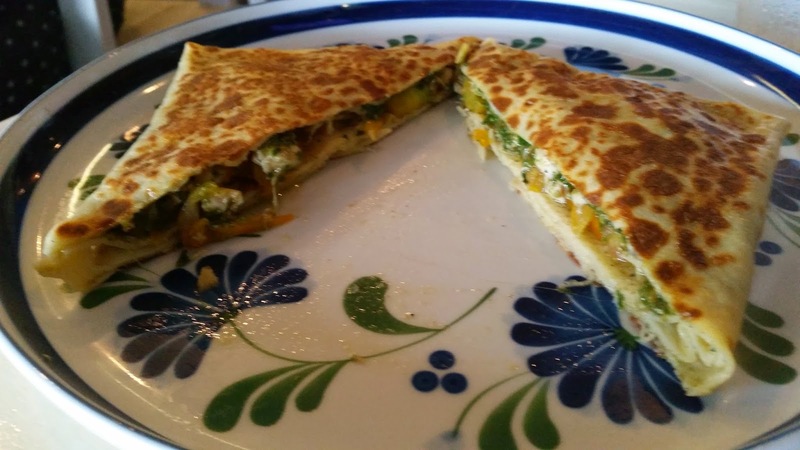 One of the new restaurants I saw is Ti Braz (French for Little Breton) Creperie. 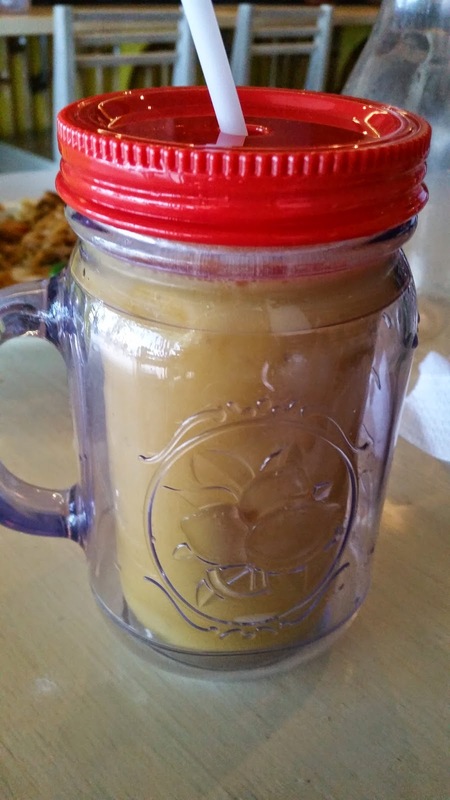 The owner Christine San Diego decided to expand the choices and decided to add Damianas Filipino Restaurant and Fuel (short for Fruits Used to Energize Life) Juice Smoothies too. We got a little bit of all and I have to say you are nailing three birds in one stone here since you are getting fantastic crepes, authentic Filipino food and healthy smoothies in one place. 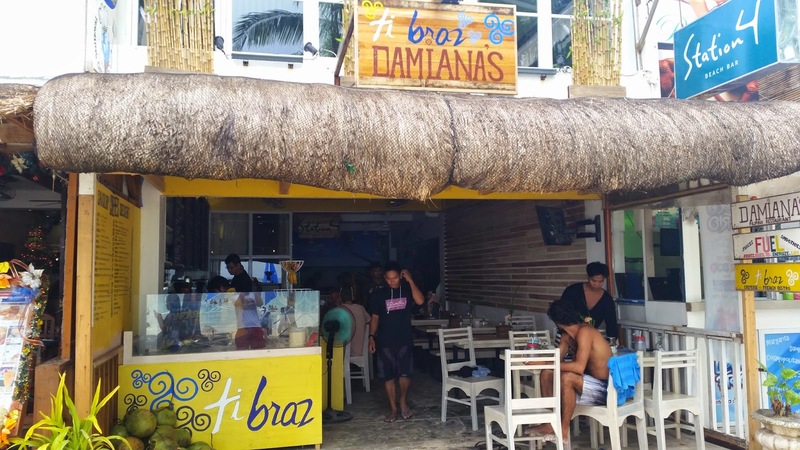 Ti Braz opened November 4, 2008 and Damianas followed last year. The recipes of Damianas were made by both Christine and Chef June Vino. 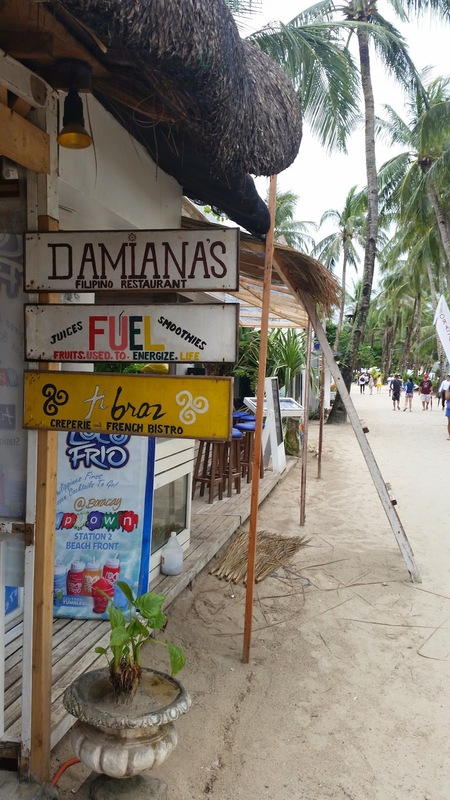 This is certainly a place you must put on your Places to Eat whenever you go to Boracay. You're not going to want to pig out in the island but with all the delicious food at Ti Braz, you are surely going to be tempted. I started the night off with one of their energy smoothies called Revitalize (P200). 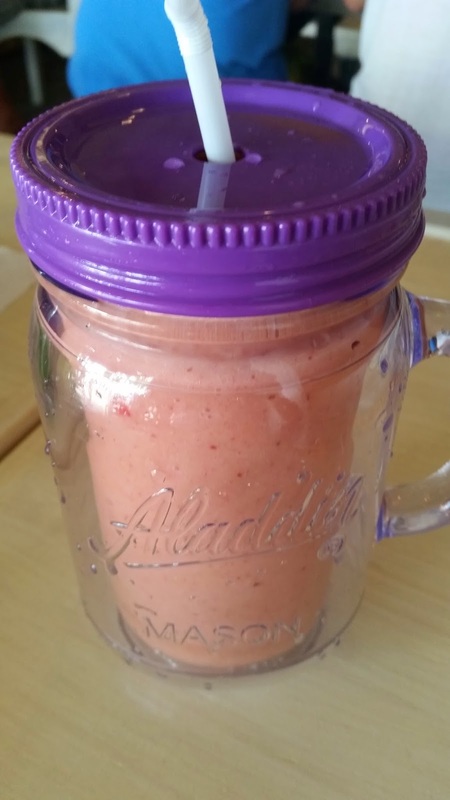 It was a combination of banana, strawberry and orange. I thought strawberry overcame the tastes of the other two fruits and that made this drink have a strong taste. 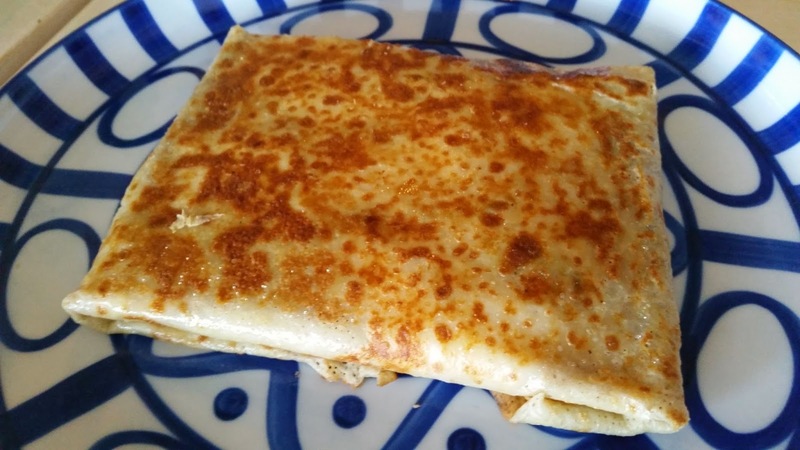 I love savoury crepes so I tried the Ala King (P265). It was loaded with chicken, roasted peppers, emmenthal cheese, bechamel sauce. What a feast that was. It is certainly healthy to eat a savoury crepe instead of a rice meal and this one nailed everything for me. I love chicken ala king and it was better in a crepe. I am trying to lessen down on rice nowadays so I went for the Pancit Miki Mihon (P120). I thought theirs had a lot of serving and that's always a plus. I have that rule where I would always try Kare-Kare when I eat at a Filipino restaurant and this lovely restaurant by the beach would not be an exception. We had Oxtail Kare-Kare (200 Half/500 Whole). and underneath all that peanut sauce are vegetables and an assortment of seafood. 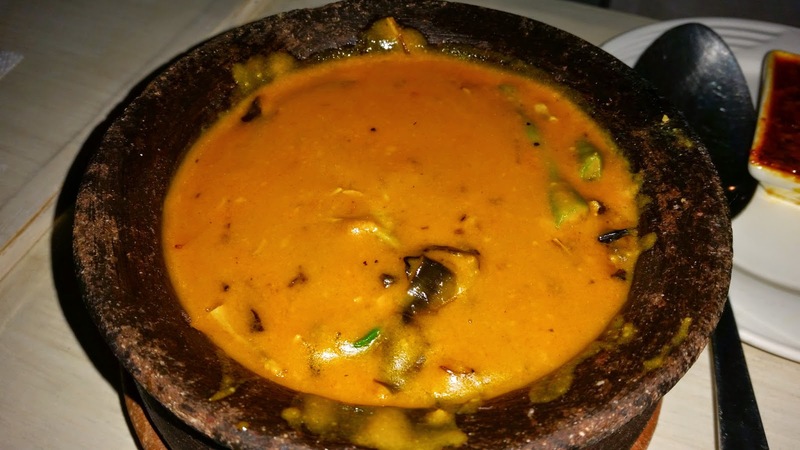 It is made from scratch using rice to thicken and fresh peanuts plus atsuete oil for the color. It is also served with their homemade bagoong. 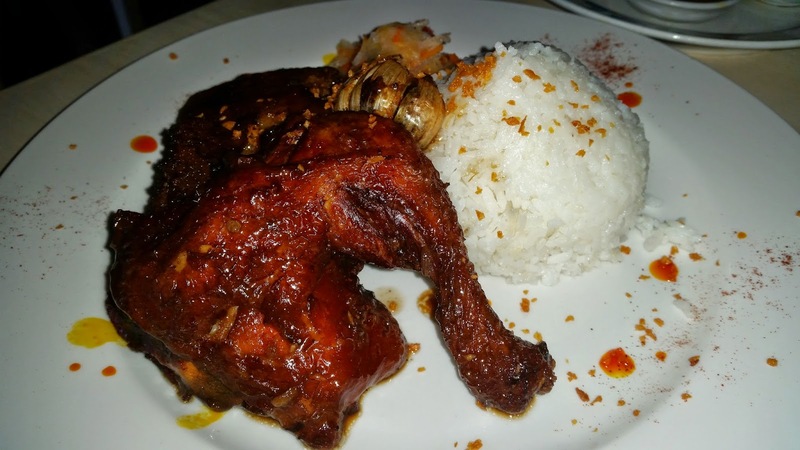 The specialty of Damiana's (Christine's grandmother's name who was the one who got her started into cooking) is the Twice-Cooked Adobo (all chicken P300, all pork P330 and combination P300). It is served with three sauces to choose from namely adobo sauce, spicy coconut milk and classic. I loved the crunchiness of both the chicken and pork. I highly recommend this dish as it will get you addicted in no time. One of the best-selling savoury crepes there is the Pesto (P215). The crepes are really delicious when they are served warm. Inside this yummy treat are chicken, tomato, mozarella cheese and pesto. I finished the first drink so fast that I had another smoothie and it was the Remedy (P200) which consisted of Pineapple, Coconut water, mango and banana. It is a combination that I thought I have seen already before. When I first took a sip, I loved the mix of all these fruits. It is a drink that health buffs would love. The dessert crepe that is usually ordered is the Mango Amour (P250). This beauty has mango, vanilla ice cream and chocolate sauce. I loved every bit of this sweet temptation that I had a hard time sharing it with someone else. They certainly saved the best for last as we were treated with Bananifique (P345). 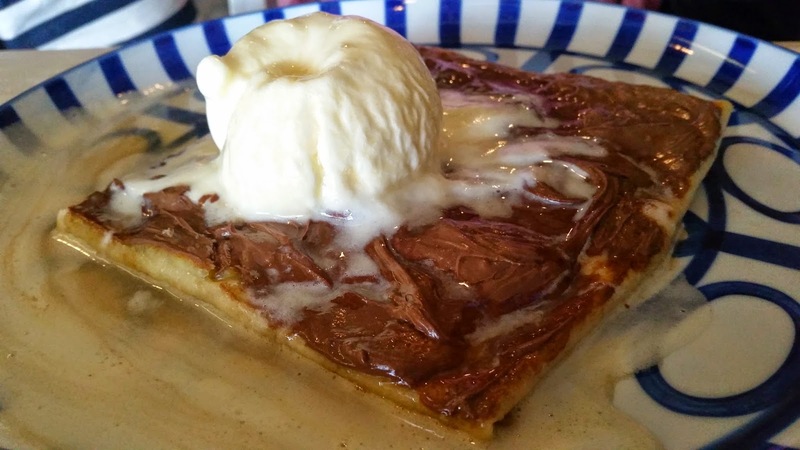 Its got banana, nutella, vanila ice cream sprinkled with a dash of grand marnier. They actually flame the grand marnier before pouring it into the crepe. For those who don't know, it is alcoholic so it gives the crepe that unique taste. I was really impressed by the variety of food that you can order in this place. 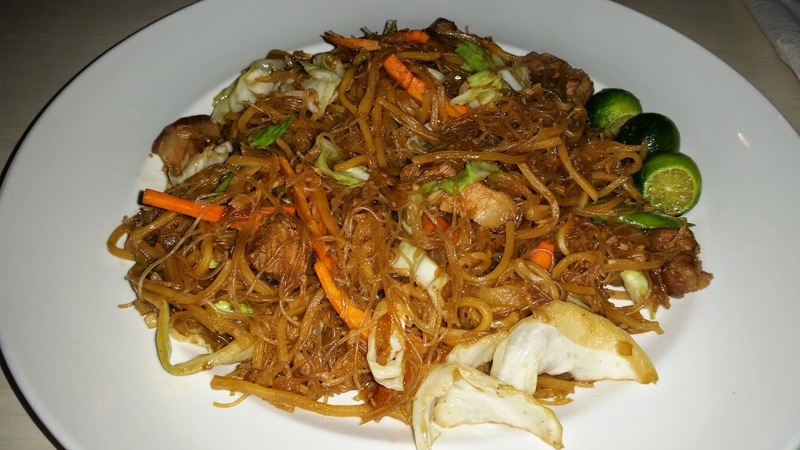 It is not like other restaurants in Boracay where you are limited to just a few choices. I will certainly come back here the next time I decide to have vacation in the island. 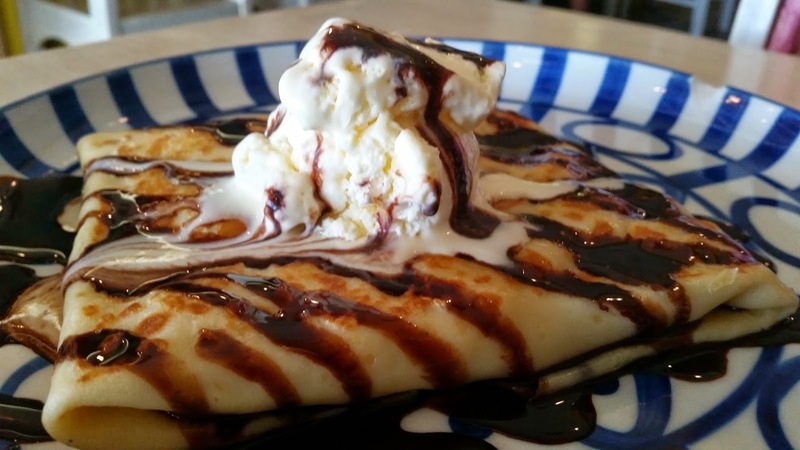 The plating of the Ala King crepe looked a lot like that of Cafe Breton's. The kare-kare is too much swimming in sauce but then I guess that's how it becomes more delicious especially with rice. Yummy!